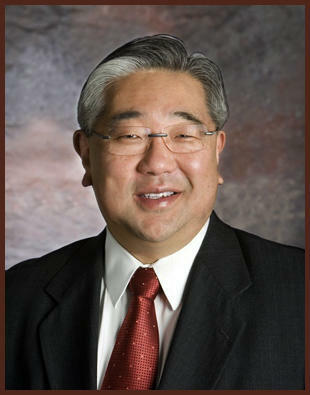 State District Judge Peter Sakai increased adoption of foster children in Bexar County by 1000 percent from 1995 to 2005. He is proposing a new pilot program to reduce the amount of time it takes a child abuse case to reach a resolution. A family court judge is asking Bexar County to help fund a pilot program that would streamline cases in the family courts. Judge Peter Sakai hopes to add two court managers and other elements to the program that will help connect the dots with other parts of the legal system. The child abuse and neglect court in Bexar County accounts for $3.5 million a year in fees for court-appointed attorneys. "And our system is second only to the total felony courts," Sakai said. Sakai said the county needs more bang for its buck, and children need to be re-united with their families. He is asking commissioners for funding in next year's budget to establish the new pilot program. It aims to decrease the time it takes to move child abuse and neglect cases through the courts. Sakai said many families encounter several different parts of the system at one time. "They could come in through the criminal justice system either with a misdemeanor or felony. They could come in through our child abuse and neglect world. They can come in through the family law world with child custody or child support issues. They could come in because of domestic violence and go to domestic violence court," Sakai said. Funding of the pilot program would also support a new screening tool to identify the families most at risk and offer those families treatments and support services as a preventive measure before they lose their children or become cases in other courts. And Sakai wants metrics to ensure a family’s progress with Child Protective Services. "That the parents are clean and sober. That the parents have resolved perhaps significant mental health issues. That they have resolved perhaps housing or unemployment or illiteracy or all of the numerous dysfunctional factors that destroy families," he said. Sakai is asking commissioners for $100,000 for the program, or less than a third of what is needed, with the balance to come from CPS and donations. The Bexar County Veterans Treatment Court is reaching the end of its grant funding and its judge is calling on the county to fund the court's ongoing operation. The court processes hundreds of veterans – many of whom have been awarded the Purple Heart or Bronze Star. It has been operating out of County Court 6 for the last four years, working with veterans accused of misdemeanor crimes to get them out of the offending cycle and help them back into productive lives. The Bexar County Hospital District has requested a tax rate for the coming year with no increase in the tax rate itself. But the health system is counting on rising local property values to sustain its budget over the coming year. The hospital district, now known as University Health System, submitted a proposal to Bexar County commissioners with a tax rate that is unchanged from last year. On Tuesday the Bexar County manager unveiled a budget proposal that would lower the county’s property tax rate in fiscal 2015. The proposed budget includes investments in law enforcement, mental health programs and the justice system. Next year’s budget proposes to lower the property tax rate by 1.2 cents per $100 valuation after commissioners voted unanimously for a deeper cut than that recommended by the county manager.